Being a great programmer definitely isn’t easy, it’s a practice that takes more than just substantial credentials for someone to excel at. Some people may think the goal is to simply get a few years of professional experience and magically become great. Experience is the best teacher, so it’s safe to say that a programmer with more experience will be better than one that hasn’t been around the block. In this case, judging a programmer’s qualification based on their experience means judging them on their ability to be insightful and innovative in their work practice. For example, an experienced programmer that’s well-versed in older languages can put their experience to good use when faced with a problem and tackle it using different methodologies and perspectives, while a programmer that’s inexperienced and only effective with less frameworks and languages will most likely resort to repetitively trying the few methods they know, getting the same results over and over again. While it may not exactly be the “fairest” way to determine a person’s worth, experience is and always will be the most valued trait a coder can have. Programming has never been more in-demand than it is today, and that’s something unlikely to change in the future. By the year 2020, there will be an estimated one million unfilled programming jobs in the United States alone from a shortage of qualified workers. Many people hear of these opportunities and wonder how they can cash in on the evolving job market. Luckily, there’s never been a better time than now for you to learn programming online. 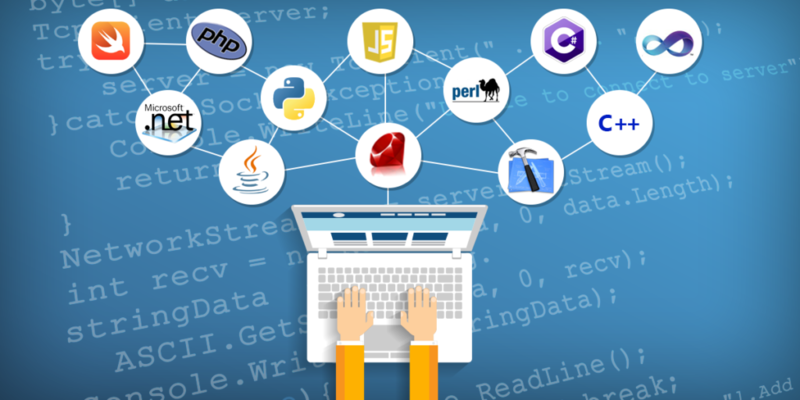 There’s many great websites to learn programming from, and while they aren’t a direct substitute for a college degree in the field, they will at least allow you to get your feet wet and figure out if programming is something can see yourself doing as a career.